Wearable tech was big in 2015 and promises to be even bigger in 2016. Consumers have been buying wearable activity trackers that promise to monitor physical activity, sleep, diet, and other health data. But how well do these things work? Researchers at the UNC Gillings School of Global Public Health and RTI International decided it was a fair question. After their study, they conclude that these wearable gadgets are better at measuring some metrics than others. Lead author Kelly Evenson and her team studied 22 published articles researching the ability of Fitbit and Jawbone – two popular activity trackers – to measure steps, distance, physical activity, calories, and sleep. The researchers concluded that the devices do a good job of counting steps. Both were accurate in the lab and in the field. Only one study assessed distance tracking for the Fitbit, finding that the device tends to over-estimate at slower speeds and under-estimate at faster speeds. Using several different comparison measures, other researchers found that both tracker brands under-estimated calories used and over-estimated total sleep time. So if you want to keep track of your steps, the researchers say either device should work fine. If you want an accurate count of calories and sleep time, there might be issues. To promote accuracy, the authors conclude you should wear the tracker in the same position each day. Enter personal details like height and weight correctly at initial set-up, and update if there is significant change in weight. If possible, calibrate the length of your walking stride. 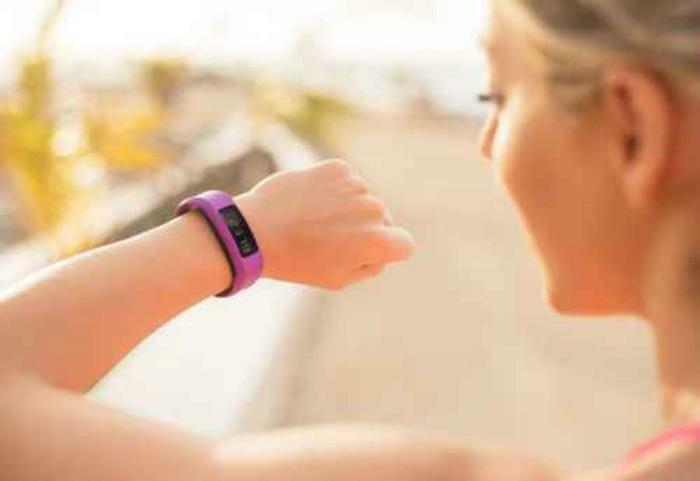 "Wearable devices that track physical activity, sleep and other behaviors are growing significantly in popularity," said Robert Furberg, senior clinical informaticist at RTI International and co-author of the study. "We conducted this review to understand how accurate these devices are." In fact, sales of wearable tech this year have been stunning. International Data Corporation (IDC) reports total shipment volume for the third quarter of the year was 21.0 million units, up 197.6% from the 7.1 million units shipped in the third quarter last year. Competition is intense. According to IDC, Fitbit held the advantage in the third quarter with 22.2% of the market. Apple was second at 18.6%. Chinese manufacturer Xiaomi was third at 17.4%.